The 10 x 24' charcoal/smoke gray Reversible Crushed Muslin Background from Impact is made from a high-quality 100% cotton material. Suitable for video or still photography, the fabric is one-piece so there's never a concern of a seam showing in the shot. 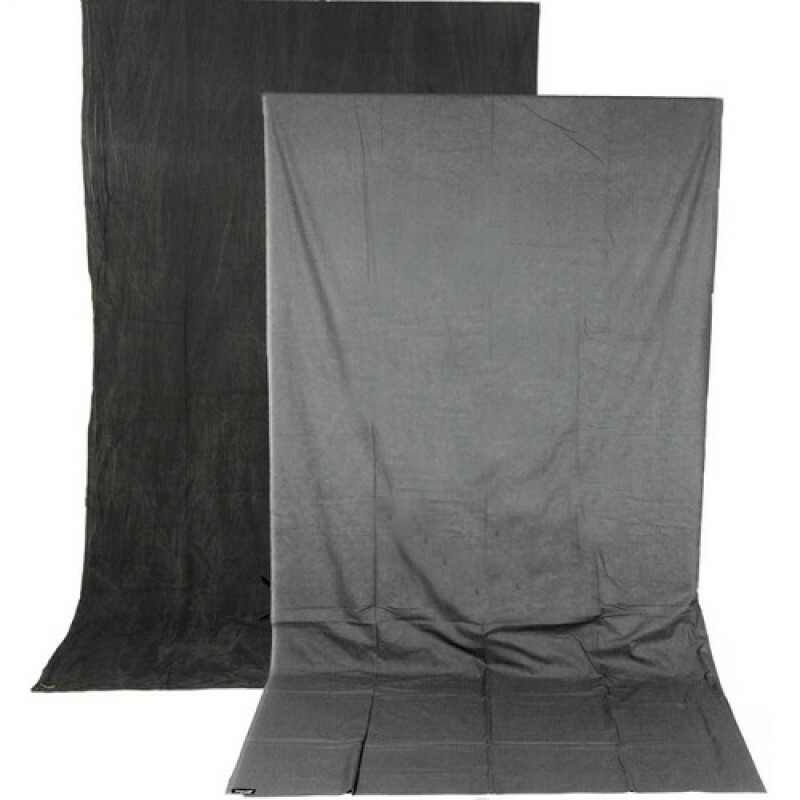 The two-sided color scheme makes this background even more useful than traditional single toned backdrops since it saves you the cost of having to buy two separate backgrounds. The background has a 4"" rod pocket and five eyelets on the top to make hanging it from your background system a breeze. The material is manufactured to help absorb light and assist in the elimination of any reflections.